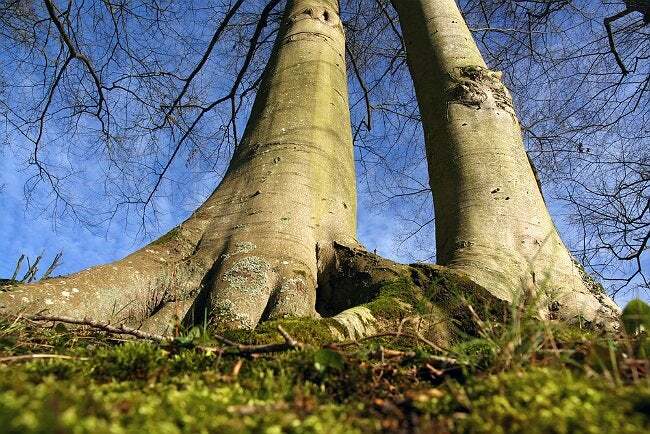 Bob Vila Radio: Is It OK to Cut Protruding Tree Roots? When tree roots surface, a portion of your property can be rendered more or less unusable by their protrusion. In weighing your options, here are few rules of thumb to remember. You love that tree in your backyard. But one of the roots is protruding above ground, creating a sure toe-stubber, and you’re wondering if you can cut it without harming the tree. Here’s some advice from the experts. If the root is large—say, four or five inches in diameter, or more—you should avoid cutting the root, as doing so could cause irreparable harm to the tree. Here’s another guideline: Measure the diameter of the trunk, in inches, and multiply that figure by eight. That total represents the number of inches from the tree’s trunk that you should leave undisturbed. If you do decide to cut a root, first dig out the soil all the way around the root, then make a clean cut using either a sharp hand saw or a reciprocating saw. Once you’re done, refill the hole with soil and make sure the tree gets plenty of TLC over the next several months.